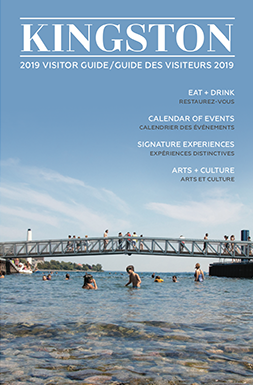 Summer in Kingston means walking our waterfront path, watching sailboats, festivals galore, and my favourite: patio dining! Allow me to take you on a tour of some of our best kept secrets that you might not already know about – all off the beaten path! 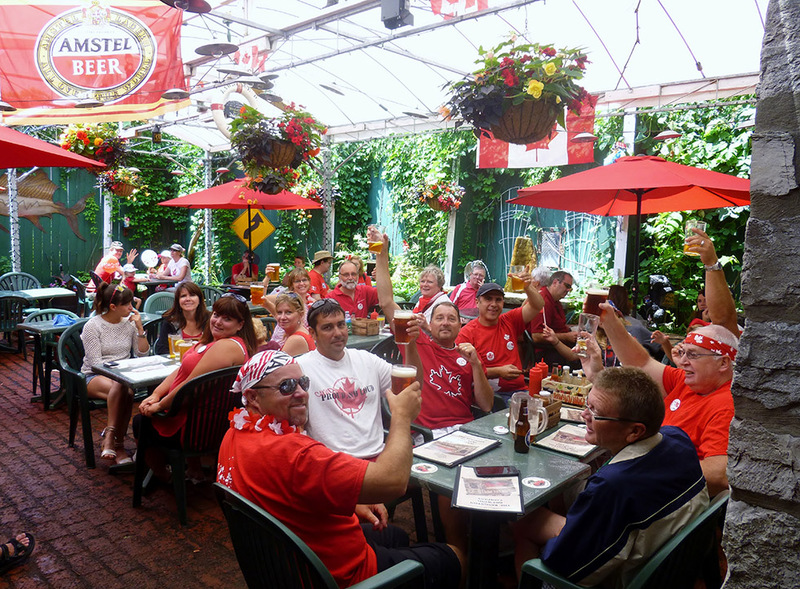 Kingston Brewing Company’s awesome patio on Canada Day. Photo by Kingston Brewing Company. Kingston’s oldest (and up until recently only) establishment that brews their own beer (and wine, root beer and club soda!) boasts, in my humble opinion, one of the best patios in Kingston. I have been dining and sipping on the Brew Pub’s patios for close to 20 years now (did I just age myself?) – first as a young adult for late afternoon pints that lasted well into the night, and now for Sunday brunch with our kids and Nana in tow. Out front, just steps from the waterfront, you will find a covered (and heated) sidewalk patio. 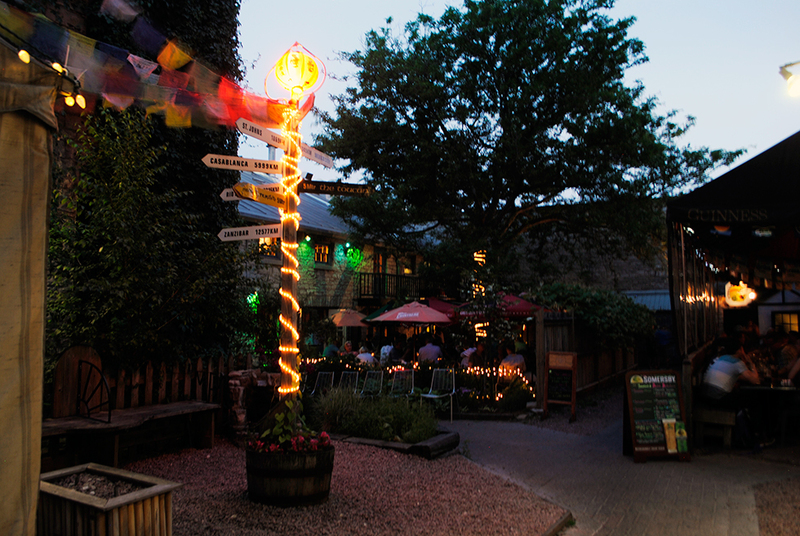 But, if you head down the alleyway between The Brew Pub and Classic Video, you will find a lovely covered back patio, complete with gardens, fountains and hidden gnomes. 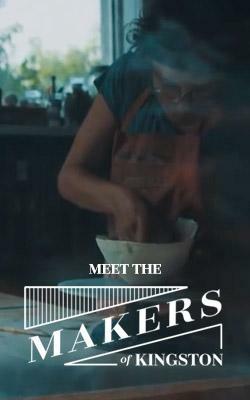 Offering daily house made soups, arguably the most packed house salad (they call it the Brewer’s salad) ever encountered in a pub, and deliciously sticky BBQ sauce (house made) covered wings (baked not fried) – all of their fare is of course best washed down with their own brew. And to top it all off, you can take a growler of beer home with you! 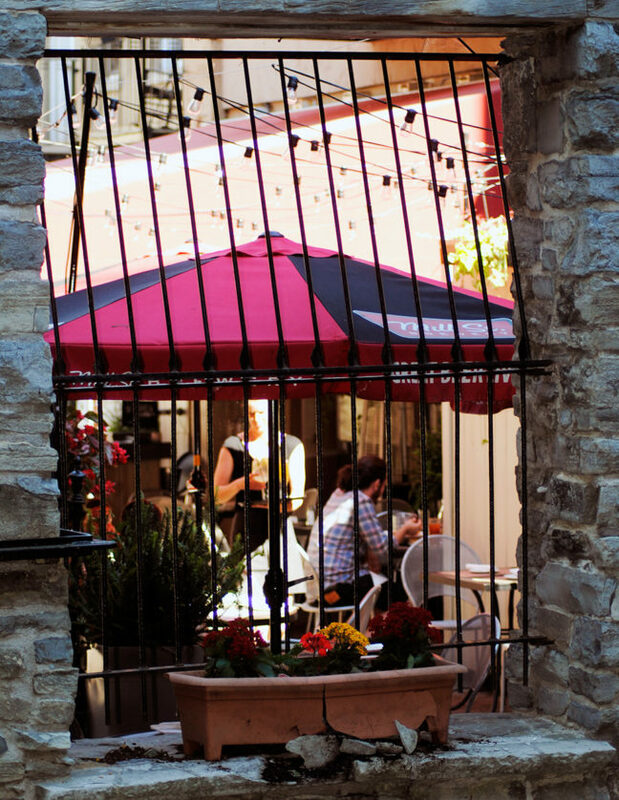 If you venture down the limestone alley into “Rouchleau Court,” you will encounter not one but two patios in a lovely little courtyard – complete with benches, gardens, patio lights and a distinctive historical vibe (there are ghost stories that go with the alley that links Princess Street to King Street). If you’re looking for an authentic Irish Pub vibe with most items on the menu under $10 and a decent selection of imported and domestic brews on tap to enjoy with your after work crowd – head to the covered and heated patio that The Toucan offers. Do you have a more refined palate? Or planned an evening out with someone special? Chez Piggy has been serving up fresh, locally sourced food for almost 40 years. Be it an afternoon cocktail, Sunday brunch with “adult juice” (try the Pamplemousse Juice) or a delicious dinner – their patio will whisk you away to an enchanted place! At 170 Princess Street, there is a wooden statue of a man dressed in traditional Bavarian Lederhosen perched on a fence beside the entrance to Amadeus Cafe. A quick glance inside will reveal a cozy yet unassuming family style restaurant. Go ahead, step inside. 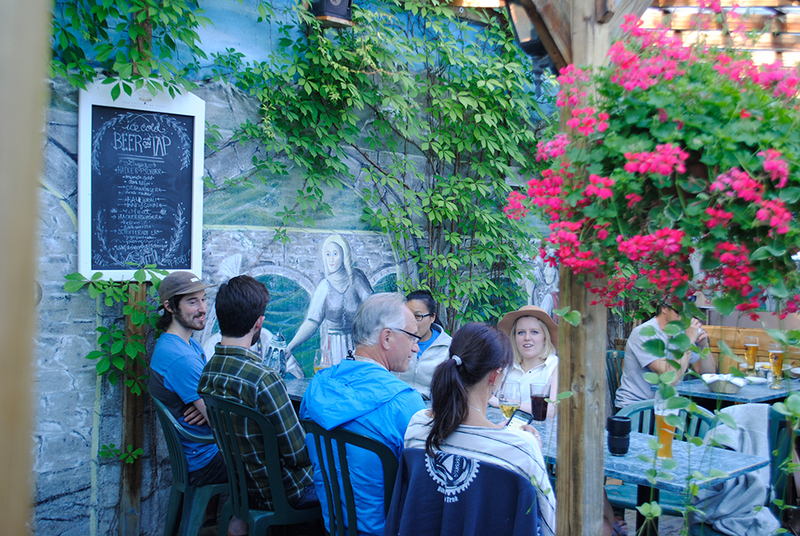 Meander your way to the back, and out onto what may be Kingston’s best kept patio secret, our very own Biergarten! You will feel like you have stumbled onto a European outdoor cafe where the walls are painted with scenes right out of the Alps and the beer is plentiful! Order yourself a schnitzel, and wash it down with a Schofferhofer grapefruit beer. Prost! I had your attention at whiskey, didn’t I? When you peer in the front door of this newer, funky little cafe, you will at first wonder how they could possibly host concerts. Go upstairs. Better yet, head out back. If you are looking for a respite from your busy life, this brick and limestone enclosed patio lined with gardens and a tree worthy of climbing will be your new zen. Try a fresh brewed ice coffee or tea (Iced Chai Tea? My new favourite). Watch their schedule for summer concerts, the patio comes to life at night with lights, music and people! From the patio at Musikki, you can look through an old barred window set into the limestone wall onto another patio I didn’t know existed. In fact, the owner of Musikki tells me that the plan is to open it up to create a walkway joining his patio to that of Chien Noir. 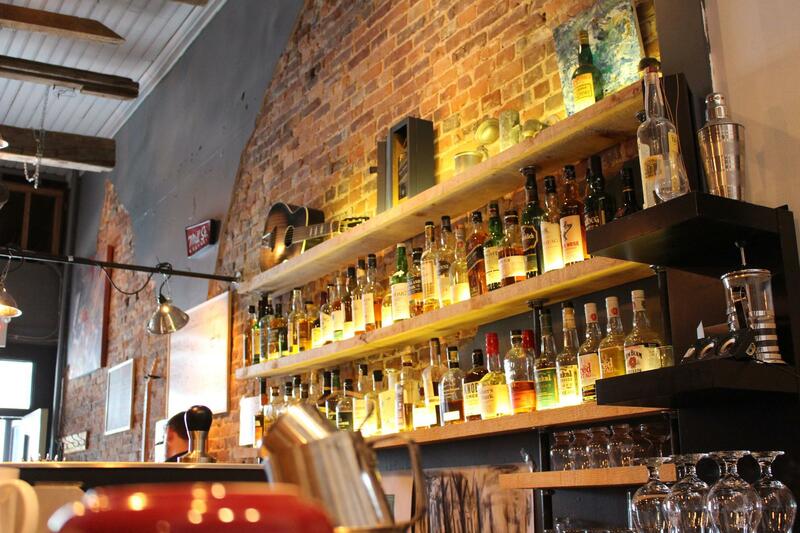 Think of dinner and a show: an upscale french bistro dinner at Chien Noir, followed by nightcaps and music next door.